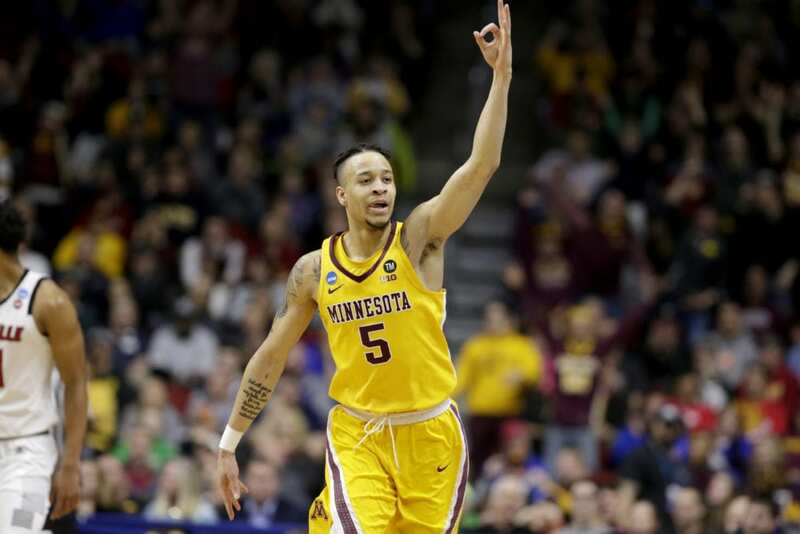 DES MOINES, Iowa (AP) — Minnesota found its elusive 3-point stroke just in time to give coach Richard Pitino the NCAA Tournament win he’d been seeking for years. Kalscheur’s layup early in the second half gave Minnesota its first double-digit lead, 43-33, and Murphy’s layup made it a 50-38 game with 16:06 left. Louisville then fouled Kalscheur behind the 3-point line, where he pushed the Gophers’ edge to 19 with 9:48 to go. Murphy’s 3 with 5:28 left — just his seventh all year — made it a 15-point game and typified just how well things were rolling for Minnesota. The seventh-seeded Cardinals (20-14) did cut it to seven late, but Christen Cunningham missed an open 3 that could’ve made things interesting down the stretch. Louisville: Despite dropping his first NCAA Tournament game with the Cardinals, Mack’s future looks bright at Louisville — especially if Jordan Nwora (10 points, 11 rebounds) returns next season. Louisville got no help in the game location, less than 250 miles from Minneapolis, which created a de-facto home game for the Gophers. Louisville did have one famous fan on its side though, as actor Bill Murray watched from behind the Cards bench. Murray’s son Luke is an assistant at Louisville. 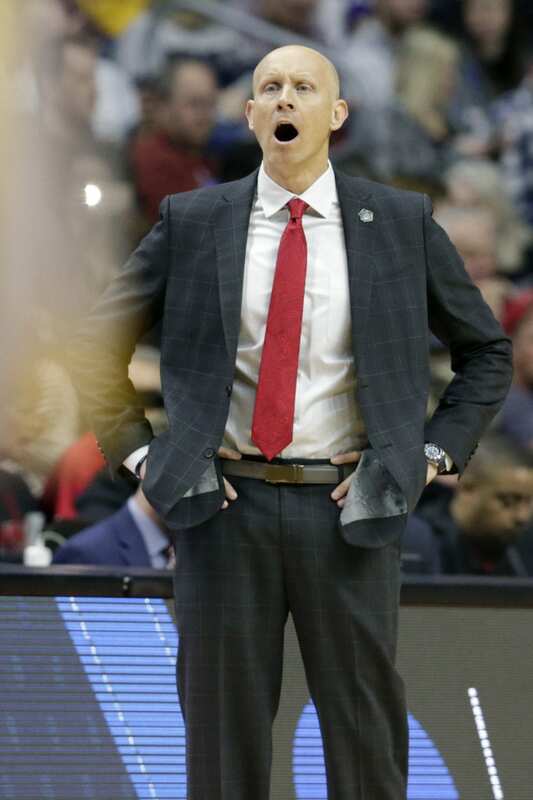 With 2:46 left and Louisville down 12, Darius Perry banked in a long 3 as the shot clock went off. The officials confirmed it after a video review, making it 76-67 Minnesota. 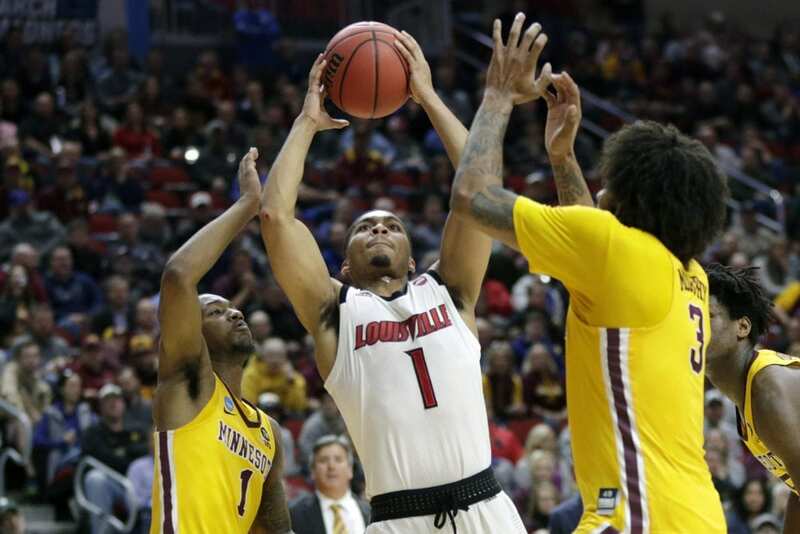 Perry followed with a 3 to pull the Cards within seven, but Minnesota’s ability to navigate Louisville’s press without putting the ball in danger rendered Louisville’s comeback hopes moot. 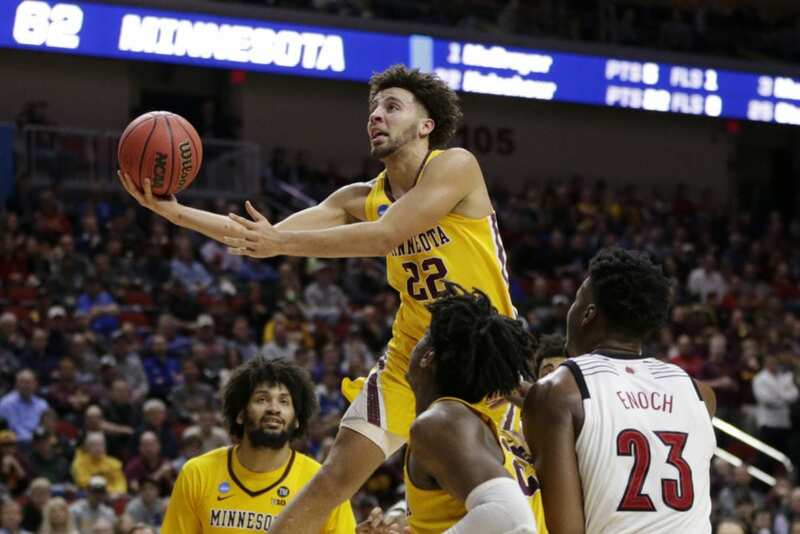 Minnesota didn’t get a single point from its bench, becoming the first team to win a first-round game since Norfolk State stunned Missouri seven years ago. Minnesota plays Michigan State on Saturday with a trip to the Sweet Sixteen on the line. Be the first to comment on "Kalscheur, Gophers Knock Off Louisville 86-76"